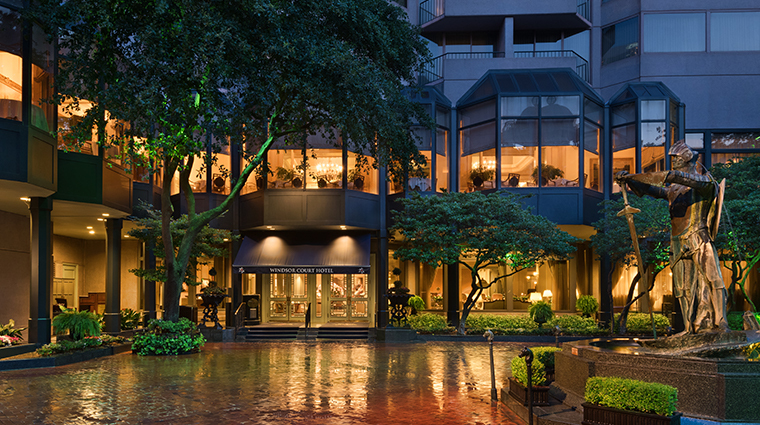 Located in the city’s business district, Windsor Court brings a bit of the English countryside to New Orleans. 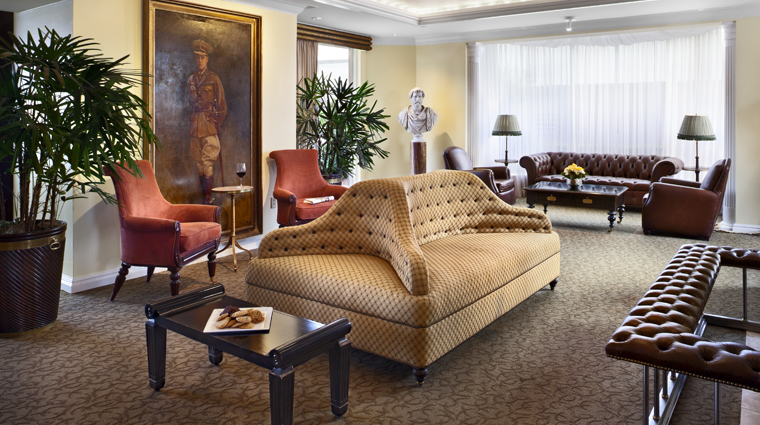 The Forbes Travel Guide Four-Star hotel’s rooms feature traditional English furnishings and artwork, while bay windows provide views of the city or the Mississippi River. Thanks to a recent $15 million refresh, the traditional retreat now offers a more modern vibe without sacrificing its Old World-inspired roots. 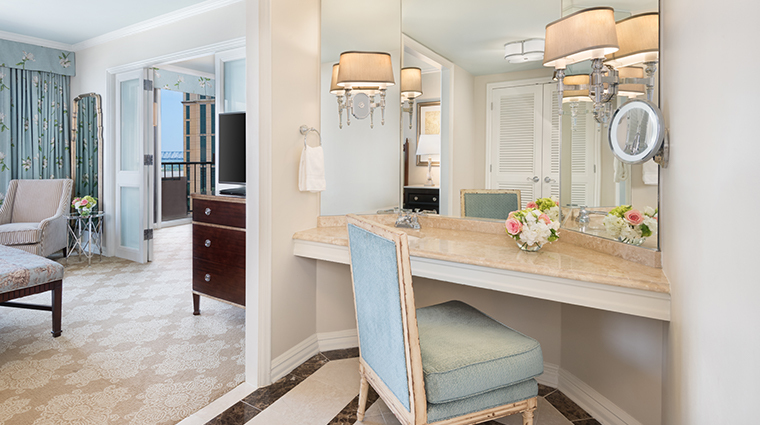 All 316 guest rooms and suites boast a lighter, sky-blue and cream color palette, while the newly debuted Waterman Poolside Bar offers a chic spot to unwind after a day of sightseeing in the Crescent City. 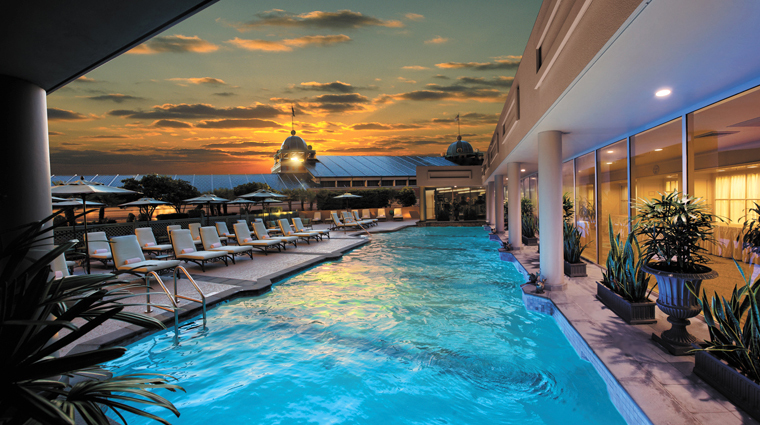 This full-service hotel also includes a pool, a Four-Star spa, and business and fitness centers. In a city hailed for its works of culinary genius, Windsor Court is no exception. The Grill Room is one of the hottest tables in town, while the Polo Club Lounge is ideal for cocktails. Windsor Court Hotel, which gets its name from an 11th-century English castle, adheres to a British aristocratic design style. 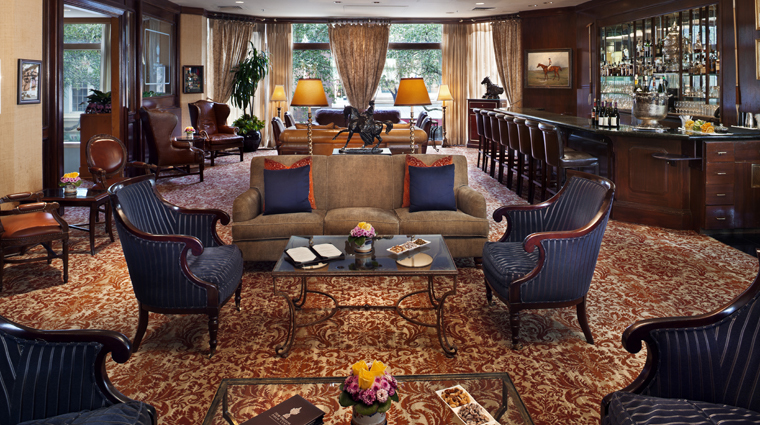 Rich furnishings resemble Downton Abbey set pieces, and walking through lounge areas feel like stepping into a traditional British club, complete with plenty of pictures of men with their horses. Though the world-class spa sits just two blocks from buzzing Canal Street, the quiet sanctuary seems far away with its Old World charm combined with modern treatments and techniques. 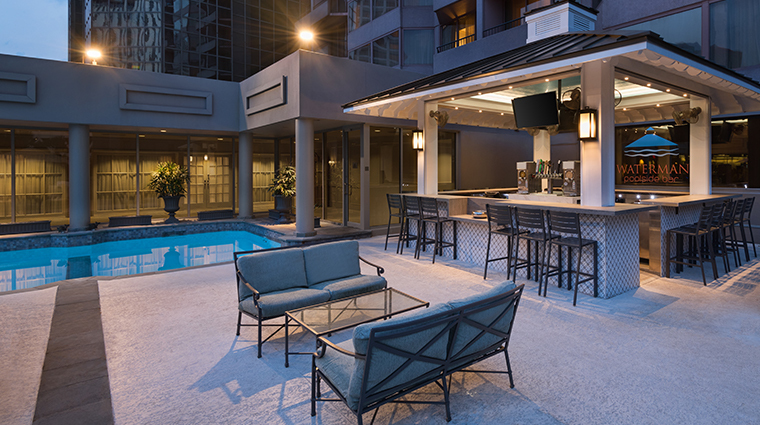 With its splashy drink menu, delectable roster of shareable plates and four big-screen TVs, the new Waterman Poolside Bar is primed to become a popular hangout for guests on those sultry NOLA nights. Whether you’re visiting Le Salon for the luxury hotel’s prim and proper afternoon tea service or relaxing in the Polo Club Lounge with a classic cocktail, you’ll most certainly feel a welcome member of high society. 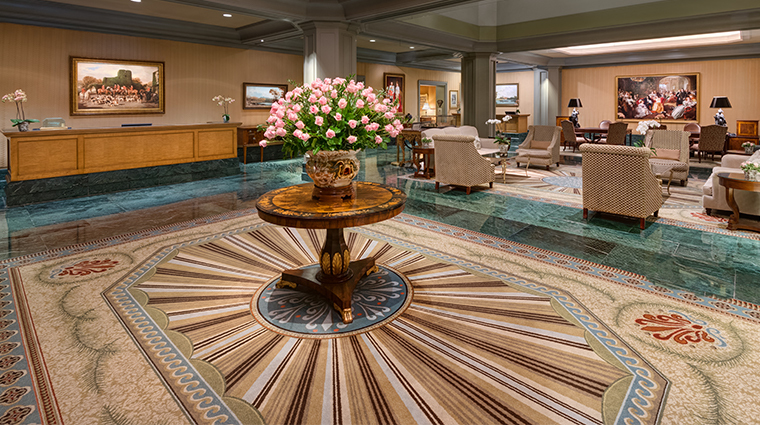 Windsor Court Hotel is located just a five-minute walk from the heart of the French Quarter and a host of boutiques, music venues and historic architecture. It’s also right by the Warehouse District, home to some of New Orleans’ best restaurants. The recently re-imagined Polo Club Lounge is a great place for drinks and elevated pub fare (see: boudin fritters, short rib on baguette). With the addition of more than 900 square feet to the space, you'll have plenty of room to enjoy the live music five nights a week, too. 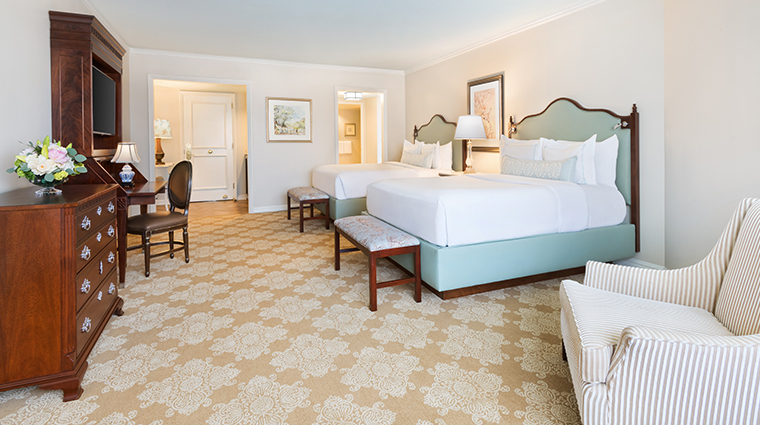 All 316 accommodations have been refreshed to reflect a more modern color palette (light blue and cream with dark wood accents) with an array of luxurious new touches, like Tempur-Pedic sleeper sofas and custom furnishings. The bathrooms received a luxe upgrade too, with soaking tubs surrounded with Botticino Fiorito marble and accessories from Restoration Hardware and Arteriors. 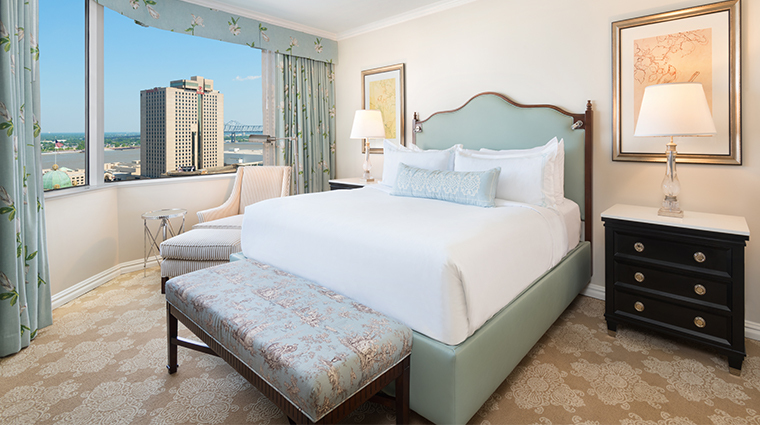 The suites at this luxury New Orleans hotel follow a light-blue-green color scheme, reflected in the floral patterned drapes, painted walls, lounge chair and ottoman, decorative pillows and bed spread. The spacious suites also feature Ethernet ports, flat-screen Phillips televisions, and iHome clock radios complete with iPod/iPhone docks. 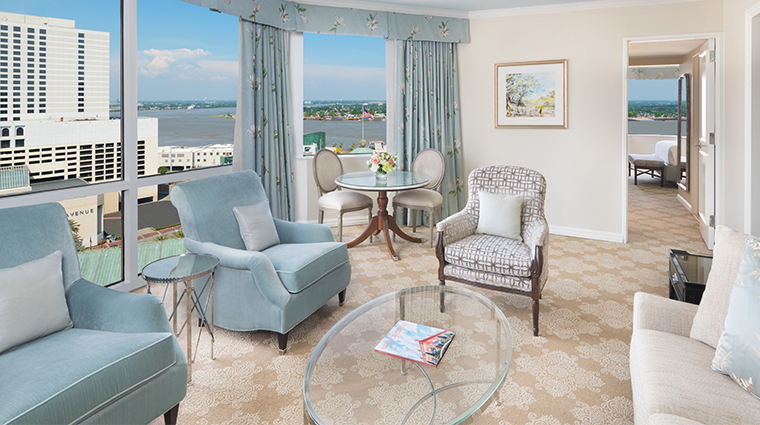 The best views at Windsor Court Hotel are those of the Mississippi River. When reserving your room — regardless of which room you choose — make sure to put in a request for a top level room with a river view. Unless the hotel is way too busy, the staff can usually accommodate such requests. The Grill Room offers a contemporary dining experience that feels different for each guest. Most of that sensation comes from customizable three-, four- and five-course experiences on offer every night. 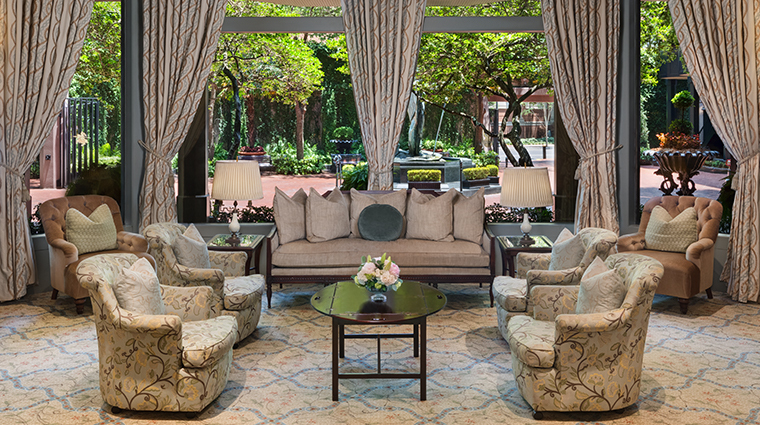 The recently refurbished Polo Lounge is the ideal place to savor pre-dinner cocktails (or a nightcap) accompanied by live jazz and light bites. The menu features elevated pub fare (try the fish and chips or the hearty burger royale) that pairs perfectly with the leather club chairs and rich wood accents. 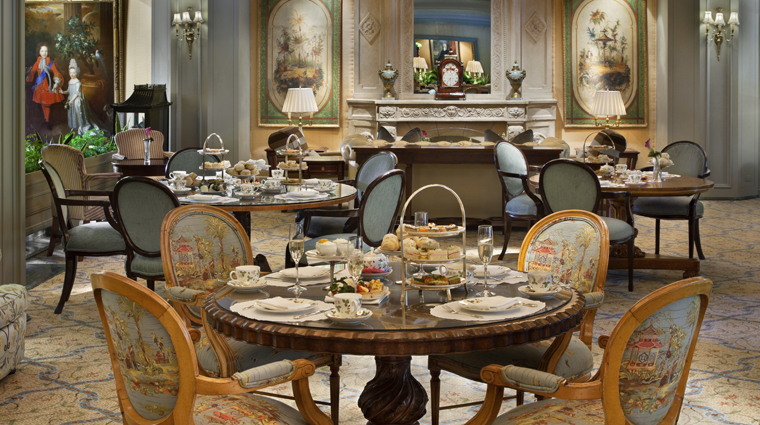 Don't miss the elegant English-style afternoon tea in Le Salon. Accompanied by live piano or harp music (Louisiana Philharmonic Orchestra's principal harpist Rachel Van Voorhees often serenades diners), the swoon-worthy service includes an array of finger sandwiches, sweets and, of course, teas, but its the refreshing cocktails (try the rum-based Ginger Peach Fizz) that make this experience stand out. You can order room service to your suite at any time of day or night. Until 10 p.m., you have the choice of ordering off the regular suite service menu or from selections at Grill Room, the hotel’s resident fine-dining restaurant. When it gets late, you can choose from a small (but tasty) roster of wings, pizza and other favorites.